Happy New Year! Only a short message from me this month. 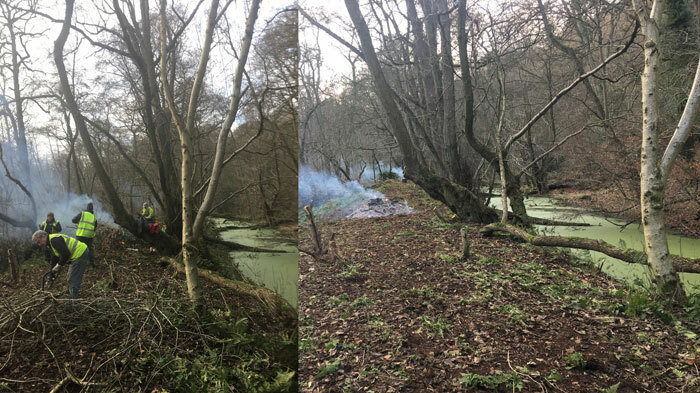 I just want to remind everyone that we have a work party tomorrow, 10th January, where we will again be clearing vegetation along the canal towpath in the Alton section. Our December work party made great progress, as this before and after photo below shows.